The Crack Babies were originally created in a college classroom during the first day of classes. 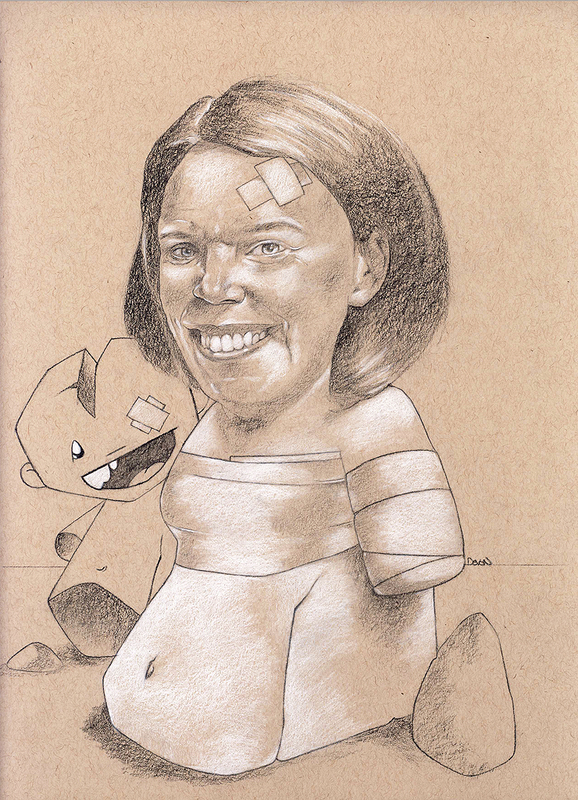 I was unwarrantably warned by a professor to not illustrate any images with guns or images that degrade women. Being stereotyped in front of my peers sparked the creation of the first Crack Baby. I can still remember the day when I ignored his lecture and sketched the first baby. 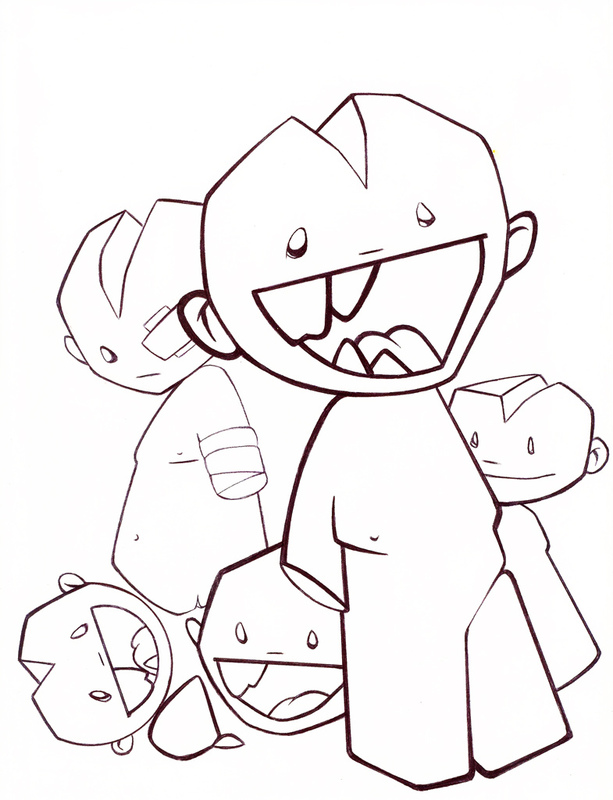 The Crack Babies have appeared in a lot of my work over the years. Featured in printed materials and gallery shows. 3D versions have actually been created from ceramics and other materials. I occasionally like to combine their graphic nature with my figurative or portrait art. The Crack Babies are destined to be a part of some future commercial endeavors. They’re their own brand. This entry was posted on Saturday, September 28th, 2013 at 2:27 pm	and tagged with Broken, Crack Babies and posted in Original Art. You can follow any responses to this entry through the RSS 2.0 feed.